Resources and support for homeschoolers in Saskatchewan Province. Gina Rozon is a homeschooling mom to two daughters aged 7 and 5. They live in La Ronge, Saskatchewan. In addition to homeschooling, running a home daycare, and writing, Gina operates a home-based business doing income tax returns. Gina Rozon is willing to talk to the media about home-based education. 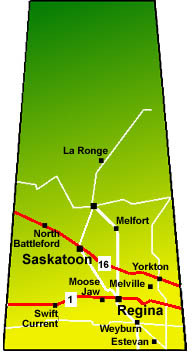 Educational places to visit in Saskatchewan. In Saskatchewan students of compulsory school age must attend a public or separate school, funded or non-funded independent school, or are home-schooled. A registered independent school provides its students of compulsory school age with an exemption from attendance at a public or separate school. This form explains the policy, and steps you through the registration procedure. Arche is a support group for Christian Homeschoolers in Regina, Saskatchewan. Although the group is primarily Christian, there are some non Christians who also have membership with us. This group is for homeschooling parents and kids from the Battlefords and surrounding areas to share information about events, connect for impromtu field trips and to share ideas and encourage one another. No description. No owner or moderator. This group was started to connect local homeschoolers, and parents of younger kids pondering the idea. It’s a place to plan social outings and discuss anything pertaining to the idea of homeschooling. We are a support group of home schooling families. We organize activities and field trips, share information and support each other. This is a private group for those living in Regina and area. We are a group of actively homeschooling (children of all ages including pre-schoolers) or those whose children have graduated from homeschooling. Join us to chat about homeschooling in the Moose Jaw area including Chaplin, Hodgeville, Old Wives Lake, Aylesbury, Holdfast, Stoney Beach, Gravelbourg, Assiniboia and everywhere in between! Homeschoolers can join and talk about the joys and sorrows of homeschooling. Home educating families living in the towns, farms, and acreages surrounding Saskatoon, Saskatchewan, Canada. Facebook group. A group where homeschoolers can ask questions, have discussions, plan future activities, field trips, projects, etc. A facebook gathering place for support, coordination of activities, information, and other good stuff about homeschool life in and around Saskatoon. This page is maintained by volunteer homeschooling parents for the benefit of our community. Facebook is great, but has its limitations. Homeschool support group list provided by Saskatchewan Home Based Educators. This is a group for Unschoolers (from the semi-Unschooled, the ones that wish to be Unschoolers or are trying to; to the radical Unschoolers and also the Relaxed Homeschoolers in Saskatoon city to share our journey, how are our kids learning inspirations for others and from others, experiences, conversations that generated learning, etc. 1. Encouragement! This is a safe, private place to post questions, struggles, celebrate successes, and to encourage each other. 2. Planning! If you’d like to do a field trip with other families, post it in here!